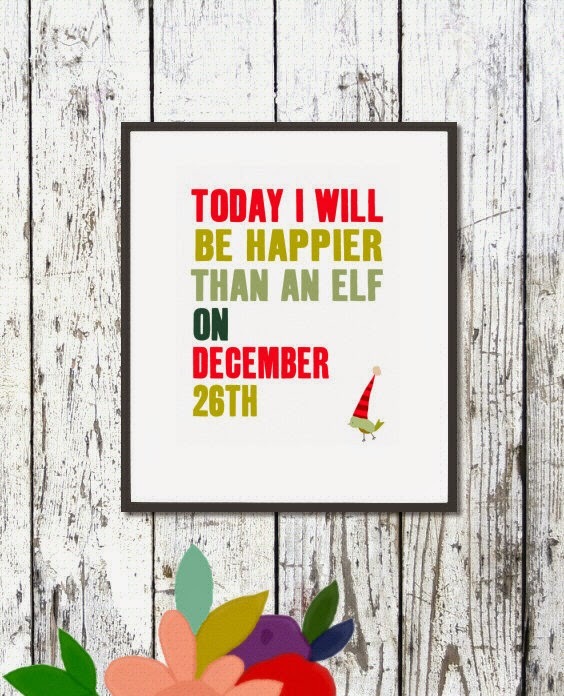 poster that says, "Today I will be happier than an elf on December 26th." It's an excellent time to break in a new journal, write a few thank you notes, look over a 2015 calendar, and begin the dreamy not-quite-yet-planning phase of next summer's garden or vacation or both. 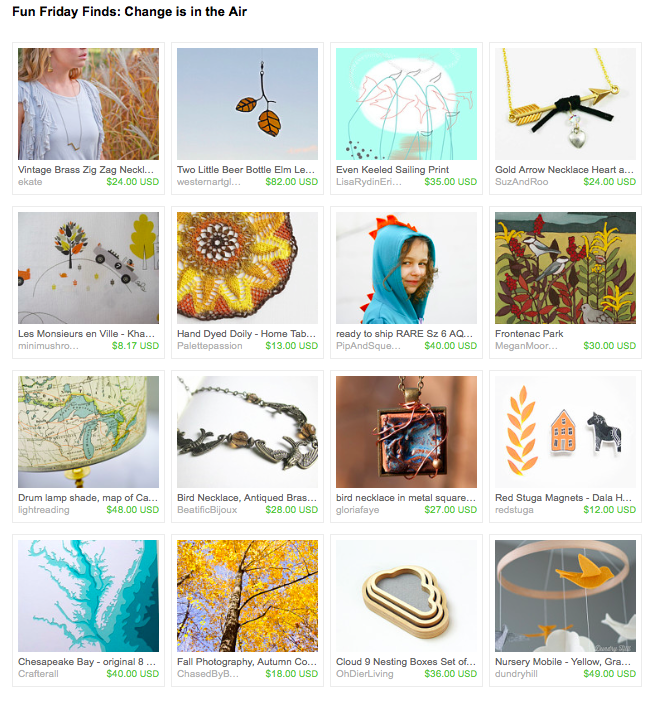 Check out our Minnesota artists and crafters shops for some beautiful handmade items. With the hub-bub of the holiday season upon us, be sure to take a moment to slow down and make some time for yourself. Getting wrapped up in all the goings-on can make that rather difficult. But the key to surviving it is to remain calm, cool and collected. Sit by the fire and read a book, enjoy your favorite hot beverage, snuggle up with someone under a cozy blanket...give yourself a few minutes every day to regroup and recoup. 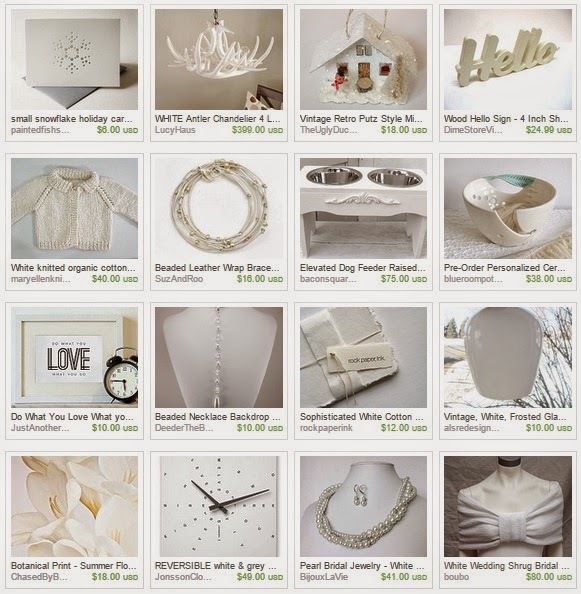 Is it time to decorate the house for Christmas yet? It's a task that should be fun and satisfying, right? But here's the problem that I have with decorating: We have to clean first. 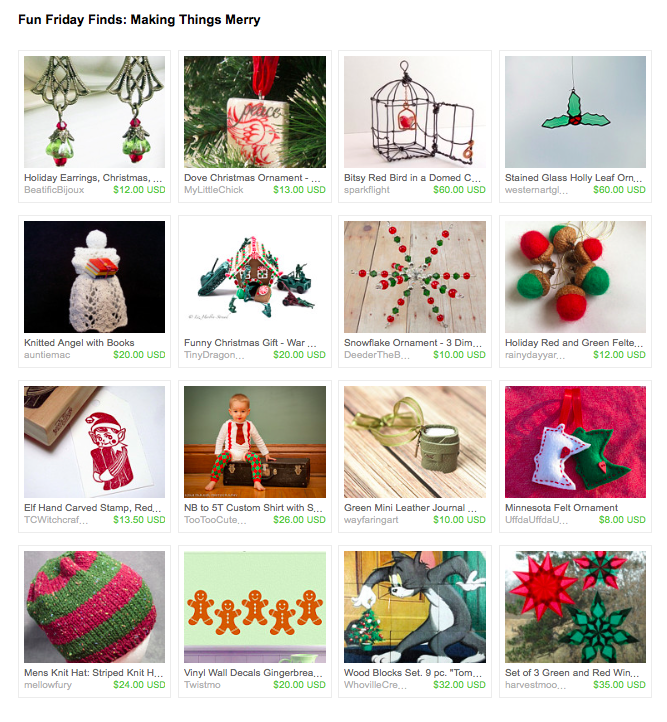 Maybe if I focused on the swell stuff created by Minnesota makers on Etsy, instead of on the accumulation of cat fur on the rug, I would be more motivated to get that cleaning done so I can deck the halls and hang the greens! Black Friday is held on the day after Thanksgiving. 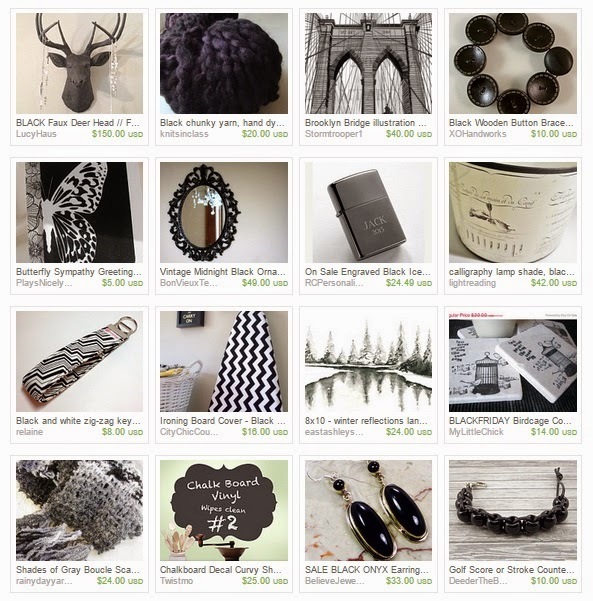 It is the kick-off of the holiday shopping season. Shoppers get up at the crack of dawn to snag the deals. I can appreciate a good deal but I have never participated in this particular art of shopping. I prefer to lazily sip my coffee in my pajama's and look forward to eating some leftovers for dinner. I will leave the frenzied competition of steals and deals to those who enjoy the thrill of the hunt. 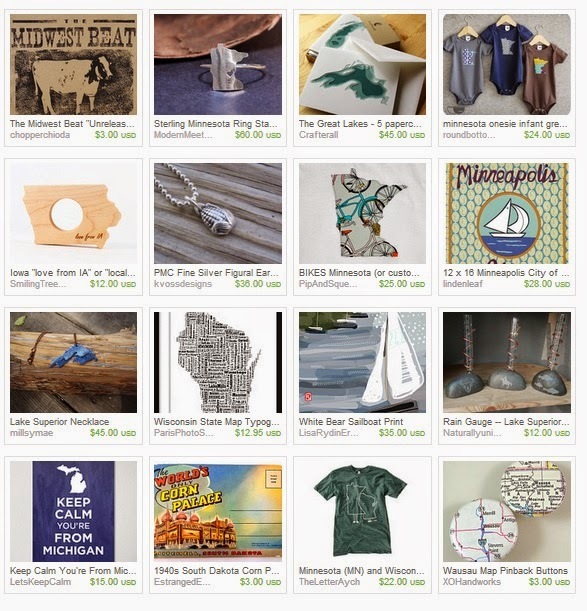 If you are like me, browsing and shopping for handmade items from MN on Etsy is much more appealing. With all the gobble-gobbling (Did you know that male turkeys are the only ones that "gobble, gobble"?) that will soon begin, and all the fabulous presentations you may experience, please take a moment to honor dear Tom Turkey who typically takes center stage on many a Thanksgiving table. 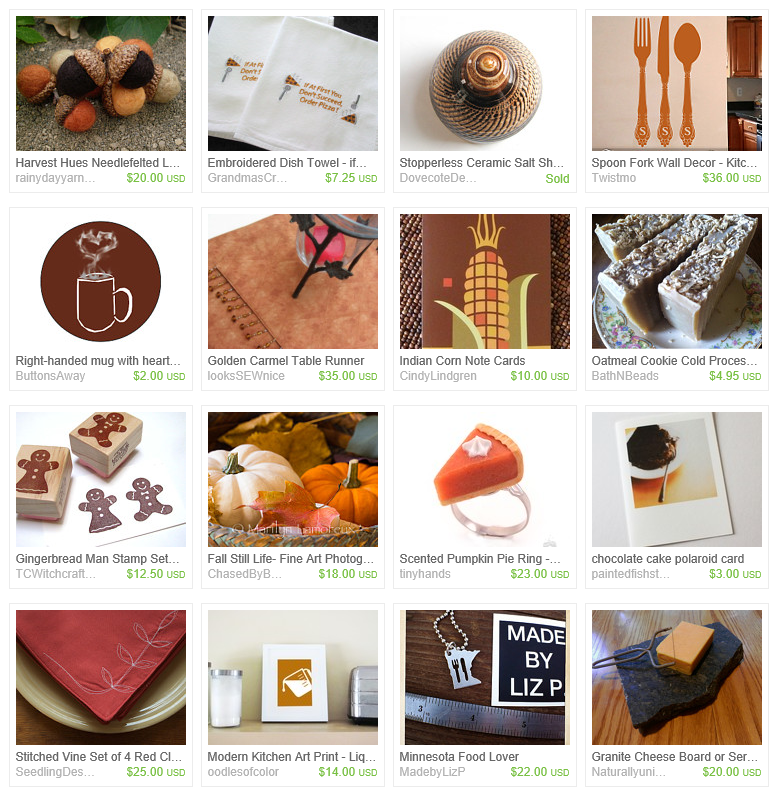 The items in this treasury showcase lovely table linens, kitchen décor and special treats for yourself or perhaps a holiday host or hostess. 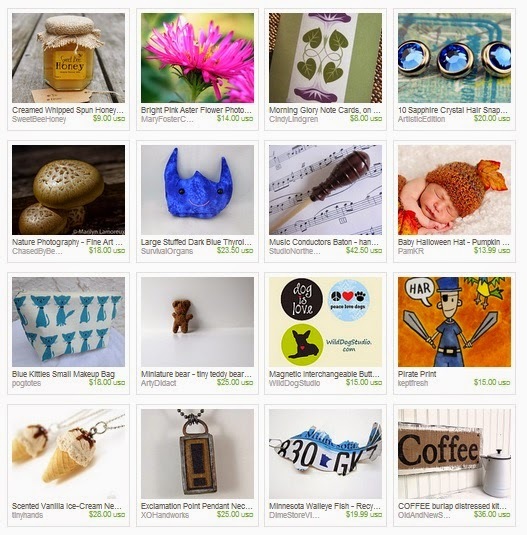 Wouldn't the pieces in this treasury would be perfect for strutting your stuff (like a tom turkey does to show off to the hens) during the Thanksgiving holiday? No matter how you choose to celebrate or show your thankfulness, be sure to remember Dear Tom. 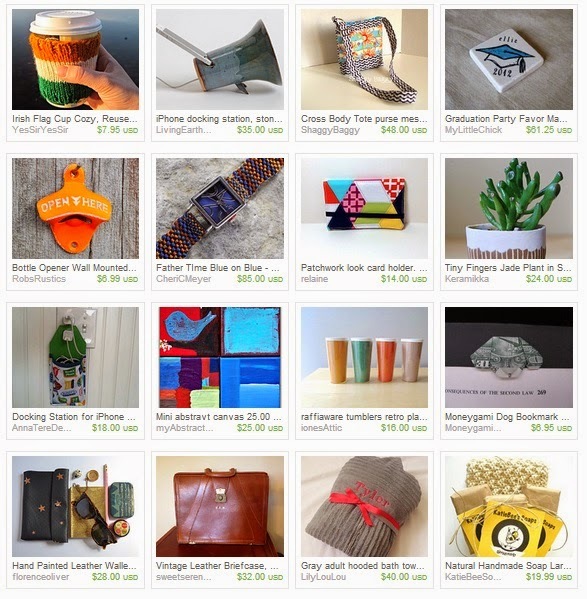 You have a terrific opportunity tomorrow for one-stop shopping of local handmade goods in good old Nordeast -- in the historic Grain Belt Bottling House, 79 13th Ave. NE. -- at Mpls. Craft'za . 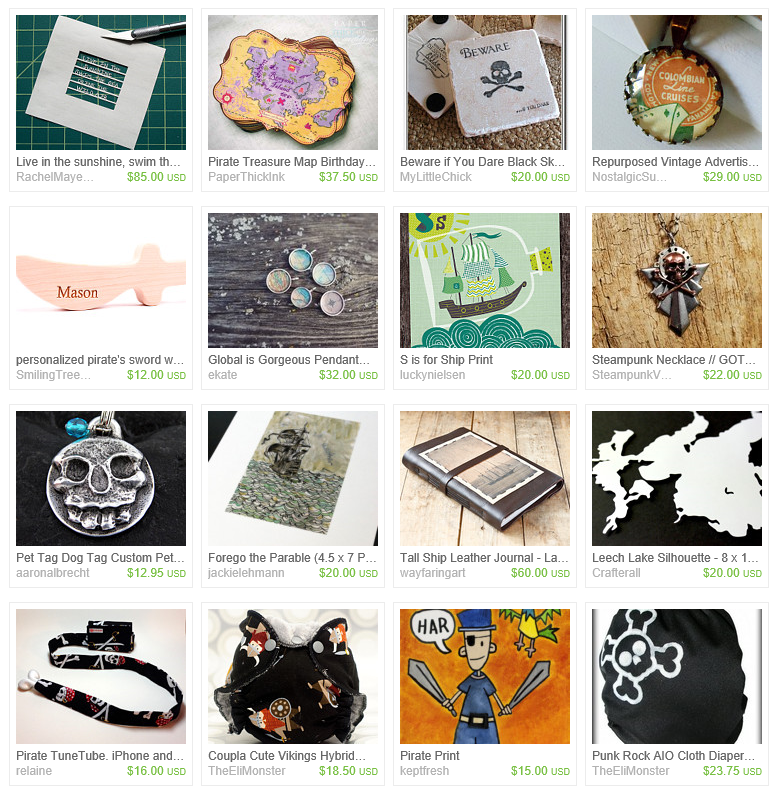 And, wouldn't you know, a lot of the vendors just happen to have Etsy shops, so you can preview many of the goods before you go. Snap! Here's a little showcase to get you started. 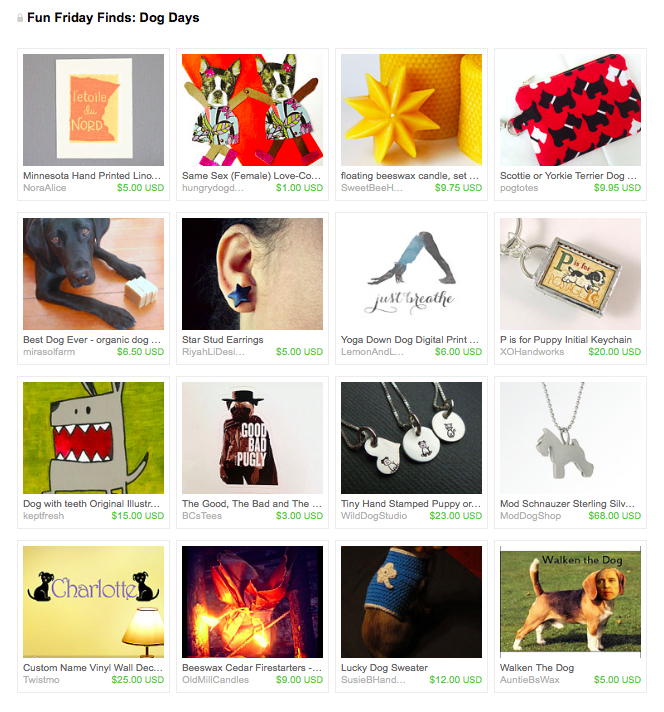 Just click through to do some serious cyber window shopping. Enjoy! November is Movember. It is the manliest of months. Dudes across the world will be giving up the clean-shaven look and opting for a rougher, gruffer, manlier look. While sporting this look, they are showing their support for men's health. 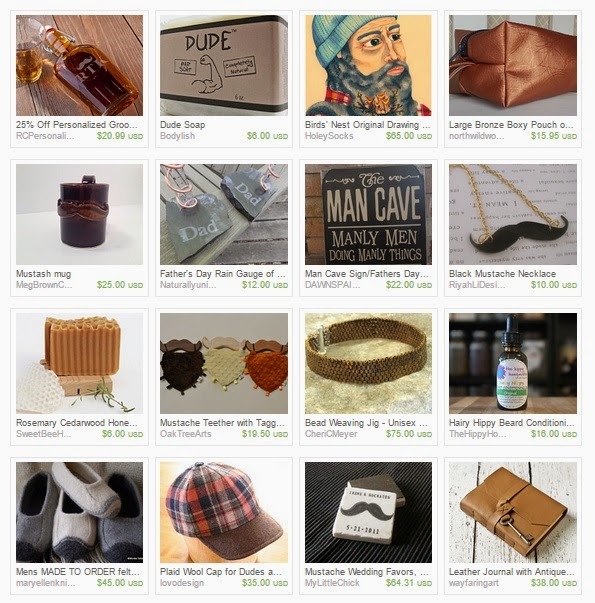 If you are looking for additional ways to be more manly, we have masculine handmade and vintage items in local MN shops. Groucho Marx for many years wore a fake moustache of greasepaint on stage and film, then grew a real one later in life. In 1967, The Beatles gave away cardboard mustaches with their album Sgt. Pepper’s Lonely Hearts Club Band. The world's longest moustache is believed to be a 14ft monster belonging to Ram Singh Chauhan of Rajastan, India, who regularly massages it with mustard and coconut oil to keep it healthy. Women are more attracted to men with moustaches. Fact. In a deck of cards, the King of Hearts is the only king not to have a moustache. A one month old moustache is capable of holding approximately 30ml of liquid or around 10% of a glass of beer before leaking its contents down the face of the owner. In Eureka, Nevada, USA, it is illegal for men who have moustaches to kiss women. Halloween - October 31. The day came and went. Here it is Sunday, November 2 and I realize I completely missed my day to post, even though I had it all laid out last week, ready to go. Oy. For those of you that observe or participate in the chaos that is Halloween, I hope you had an enjoyable and safe day and night. Perhaps you have recovered from your festivities today and are ready to get into the swing of the upcoming holidays? 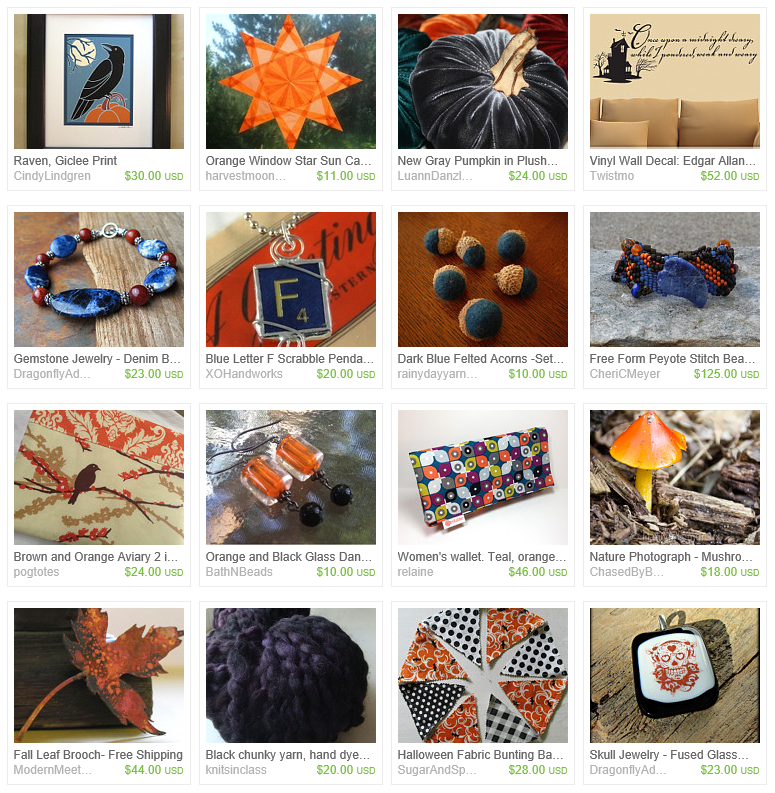 How about taking a moment to peruse some goodies I located; add them to your holiday décor for next year's festivities surrounding All Hallow's Eve! Here's hoping you all had a nice October and that November brings you much for which to be thankful. According to the various definitions I found when I googled "Indian summer," it's a period of unusual and unseasonal warm, dry, sunny weather in fall. But I have to take issue with this whole "unusual" and "unseasonal" bit — I have a hard time recalling a fall when we didn't have a lovely spell of mild sunny weather sometime after the first hard frost (which is how I thought it was defined). Unusual or not, here in the northland we sure are enjoying this prolonged and colorful Indian summer. Fall colors are in full swing, If you can't get out to see them in person, check out these amazing finds right here in Minnesota. Gray skies here in the Twin Cities this fine fall Monday. Rain is expected soon. 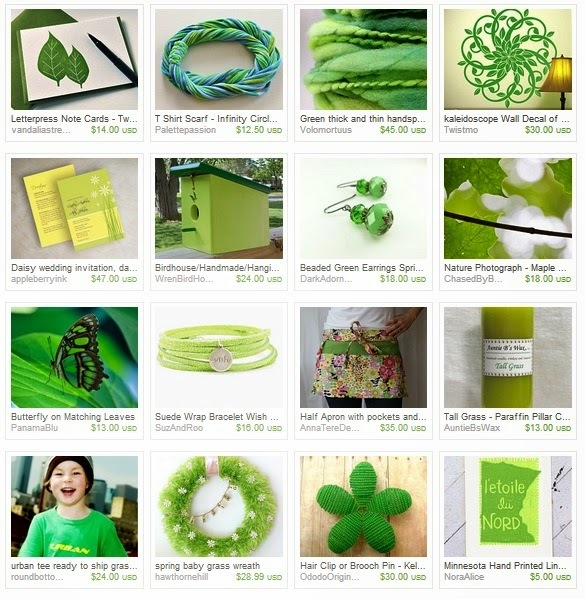 Here are some great finds that will hopefully bring some cheer and make you happy too. How are the skies in your corner of the world? There's nothing like a little snow on the third of October to make a person think about their favorite way to get cozy! Do you prefer to brew a steaming mug of tea? Or heat up some Minnesota apple cider with cinnamon and cloves? Perhaps you've been perfecting the art of making mulled wine! (For inspiration, you might sample the glögg at the Swedish Institute's excellent café, Fika; or the mulled wine served at the bar at W.A. Frost in Saint Paul; the newly opened Le Town Talk on East Lake Street promises to offer their own version soon, too.) We really should be nudging more of our favorite bars and bistros to offer this wonderful warming beverage this winter. 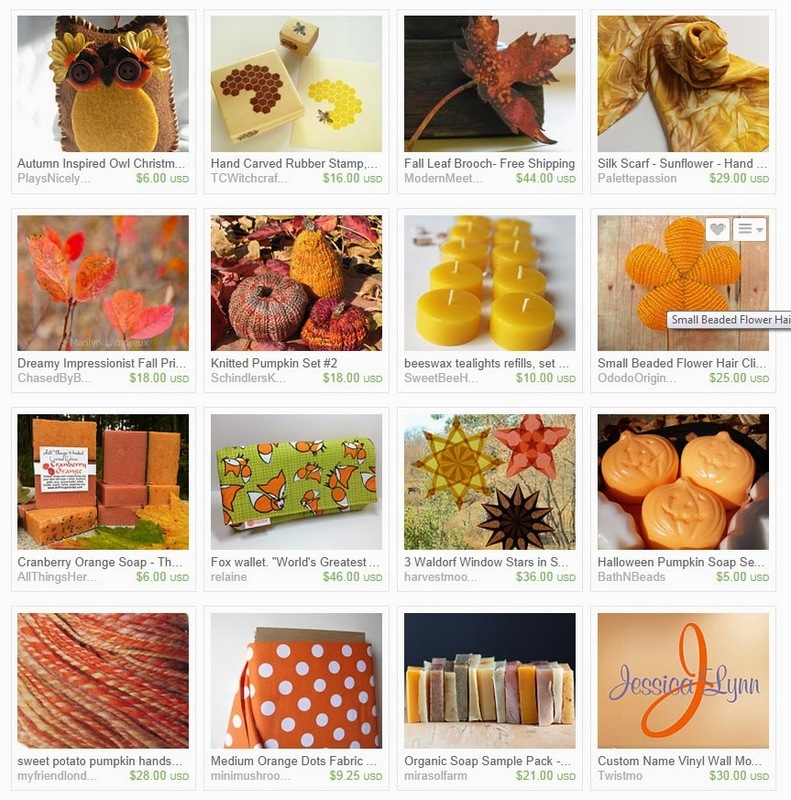 For general inspiration, in October-inspired colors, here's a collection of handmade coziness, with a little vintage to round it out, from Minnesota Etsians. John Chapman, also known as Johnny Appleseed, was born on September 26th. He was a pioneer who introduced apples to the Midwest. The legend of Johnny Appleseed indicates that he planted without a plan but he actually knew what he was doing. The apple trees that he planted did not produce apples that were good for eating. They were too tart and were used to make hard cider and apple jack. Johnny was very religious, believed in animal rights, was a vegetarian and was never married. 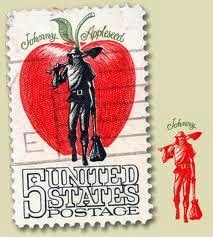 In 1966 the United States Postal Service issued a commemorative stamp of Johnny Appleseed. 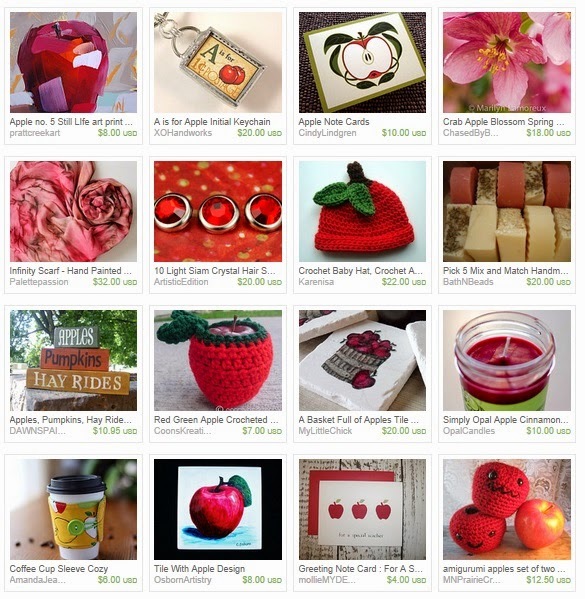 Enjoy these sweet and tart finds that were grown right here in Minnesota! Yarr! Don yer eye patches and grab yer doubloons! Today's the day ye best be talkin' like a pirate, matey. And ye best be plunderin' these beauties I've gathered for today's Fun Friday Finds. Started in 1995 by John Baur and Mark Summers (Ol' Chumbucket and Cap'n Slappy) when one of them shouted out "Arrrr!" as they were playing a friendly game of racquetball, International Talk Like a Pirate Day is now celebrated around the world. What was once an inside joke is now an international "holiday" - and you can find out more about it here. Excuse me, Minnesota, but your colors are beginning to show . . .
National Honey Month. - Fun fact: to make one pound of honey, a honeybee needs to tap 2 million flowers. No wonder they’re called worker bees. The Aster is the flower of the month - The Aster is Love, Faith, Wisdom and symbolizes Valor. The other September flower is the morning glory. Morning glories are simple symbols of affection. Sapphire is the September birthstone and is said to protect your loved ones from envy and harm. National Mushroom Month and a great time to enjoy mushrooms! Fall Hat Month - The hot summer is over and the wearing of all those straw garden hats are over, men and women are encouraged to put aside their straw hats and begin wearing felt or fabric hats that are seasonal for the fall. Hat-related activities are also encouraged too. Happy Cat Month is dedicated to finding ways to keep our feline friends happy, healthy and purring all year long. National Teddy Bear Day - We have all had a special cuddly teddy as a child. Some of us still have our teddy bear from our childhood. Whether or not you still have your childhood teddy, today is the perfect day to celebrate your childhood friend! National Hug Your Hound Day - Only in it's second year NHYHD, hopes to increase awareness of dog-friendly urban spaces by encouraging pet owners to shower their pooch with affection. Ice Cream Cone Day - The walk-away cone made its debut World's Fair debut in St. Louis in 1904. Fish Amnesty Day - A day to recognize fish as a living thing with rights. National Coffee Day - Each year on September 29, people across the United States celebrate one of the most beloved morning beverages on National Coffee Day. It is a morning favorite however, it is found being drank throughout the day either hot or cold and either black or with additives such as cream, creamers, milk, sugar, flavored syrups, ice and etc. Then, in 1794 Nicolas-Jacques Conte developed the process of manufacturing pencil leads in which powdered graphite was mixed with finely ground clay; this mix was shaped into a cylinder form and then baked to create a pencil. The more clay that was included in the mix made the pencil "lead" harder. This became known as the "Conte Process" and he later patented this process. 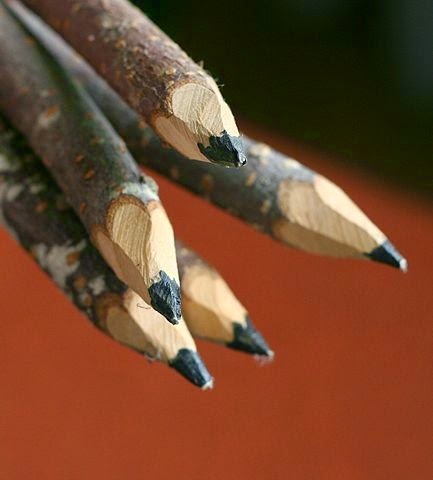 Pencils were first manufactured in the U.S. around 1812. Mass production began following the Civil War when additional patents for the machines invented to make pencils were granted. 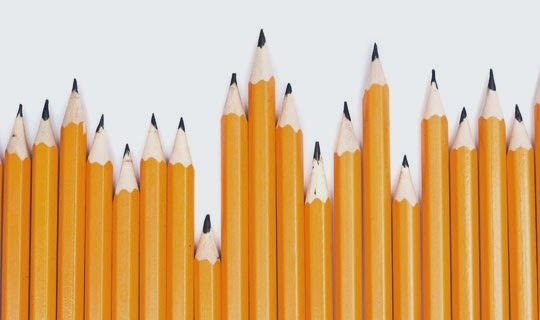 Today, pencils come in all shapes, sizes, colors and hardness. But I still have a great fondness for the good ol' standby. So with the spirit of the new school year comes my love of the freshly-sharpened No. 2 pencil. 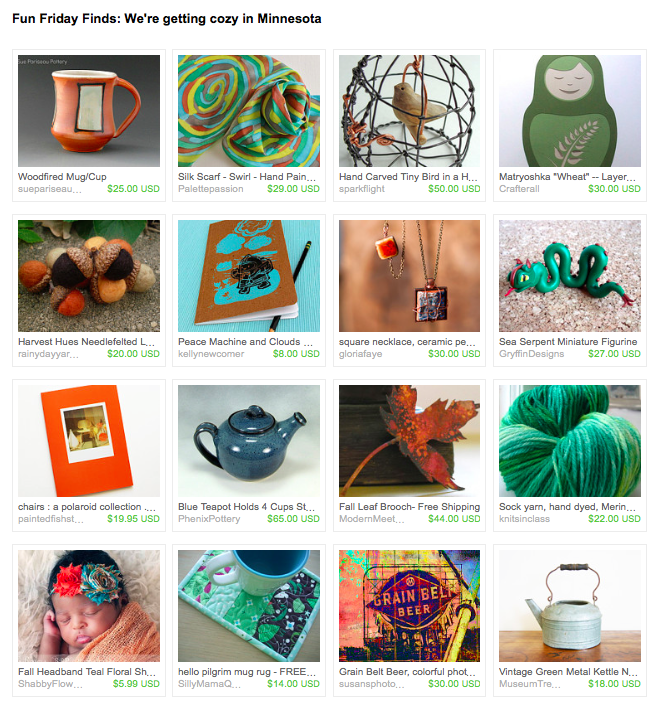 Thus, today's treasury. I hope you are taken back to some fond school memories as you do a little shopping. What does a No. 2 pencil remind you of? What's your favorite thing about pencils? Do share! End of Summer on a Stick! State Fair week and monarchs-aflutter and school buses on the street — oh my! You know how that all adds up: The end is near! The end of summer, that is. The colorful flowerbeds will soon give way to colorful tree tops. The fluttering of butterfly wings will be replaced by the fluttering of leaves. And yet, still, there's beauty everywhere. And aren't those cool evenings wonderful? 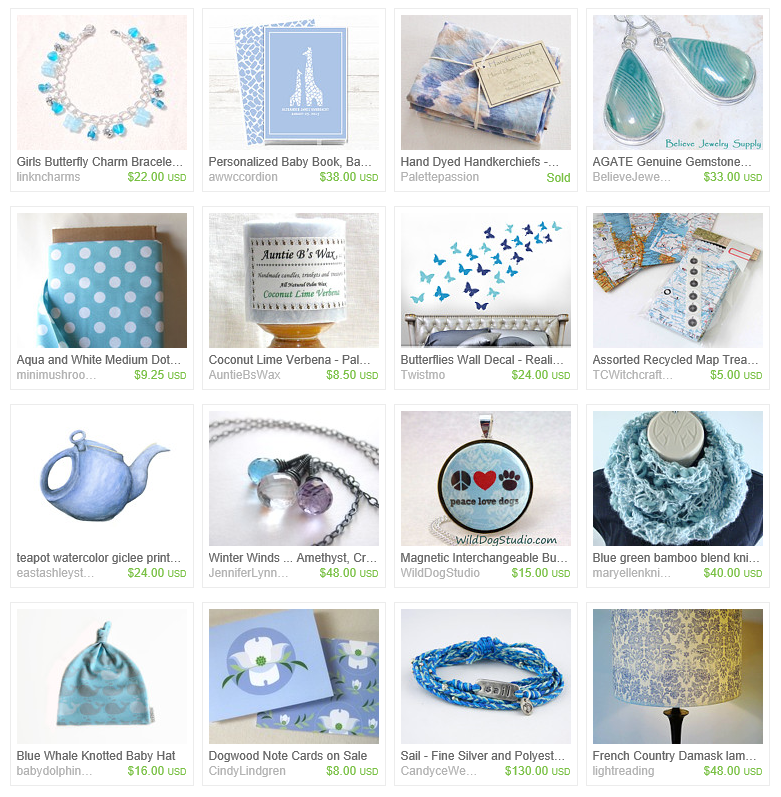 Here is a collection of handmade items from our Minnesota Etsy team to celebrate this most excellent transitional time, and remind us to get out and enjoy it all, as summery things begin to tuck in like Sleeping Beauty, ready for a long nap. August is Happiness Happens Month. They say you can never have too much happy. According to the Secret Society of Happy People, there are 31 different kinds of happy? There's everything from amused, balanced and cheerful, to relieved, spiritual and thankful! 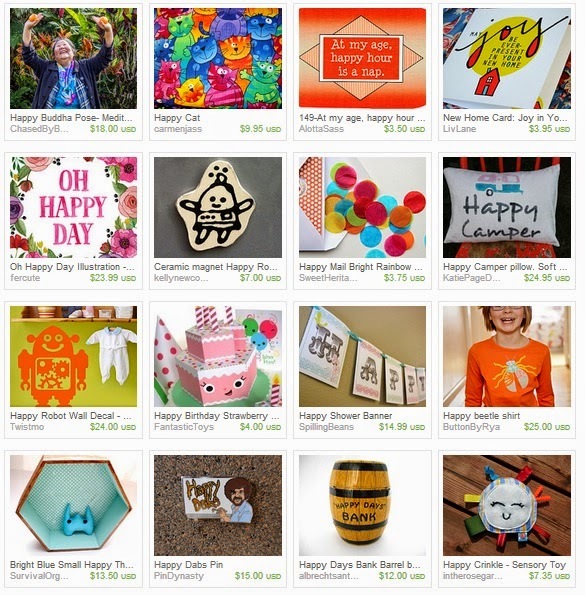 We think that our HandmadeMN artists can help you feel happy too! Enjoy your day and be HAPPY! Does anyone remember that Science Museum of Minnesota commercial where the parrot is singing a tune in pirate-ese? "Oh, Cape Cod girls ain't got no combs..." It was for the Real Pirates exhibit about 2 years ago. Well, if you haven't seen it, you should check it out. I think it is so funny. Can't explain it, but it tickles my funny bone. So, "Avast!". 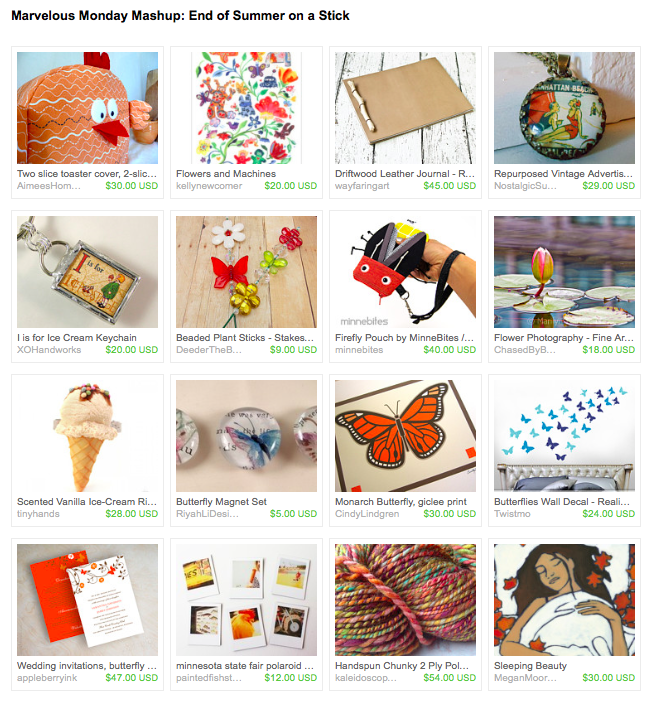 Check out today's Fun Friday Finds! Now that the high water restrictions have been removed from many area lakes, folks can once again zoom around at high speeds. Keeping the word avast in your vernacular may be a good idea these days to keep everyone afloat. However, I think using it in every day conversations is a hoot and I encourage you to do the same, no matter if you are on the water or not. As we slink into the sultriest days of the summer, you might want to rise early to enjoy the cooler morning air. And if you rise early enough—say, before dawn—you might catch a glimpse of Sirius, the dog star, twinkling brightly low in the southeast. At least, that's what they say. I am not an early riser, so I wouldn't know. It's the appearance of the dog star at sunrise at this time in the season that led the ancients to call these days of late summer heat the dog days (read more about that on Wikipedia here). July is National Share a Sunset With Your Lover Month. What a great thing to do with your sweetie. 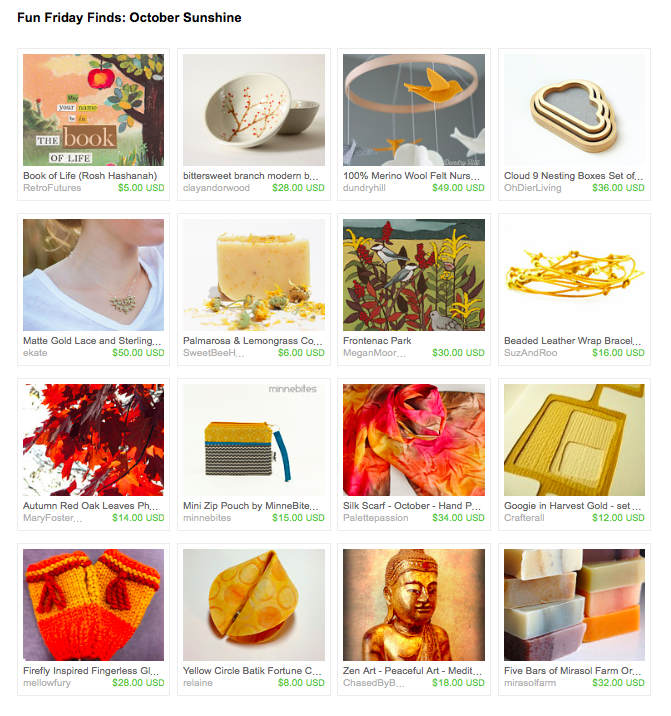 The members of HandmadeMN and artists in Minnesota have some gorgeous creations that represent a July sunset. Please take a moment and check out their talents. Mint chocolate chip ice cream. 'Nuf said. 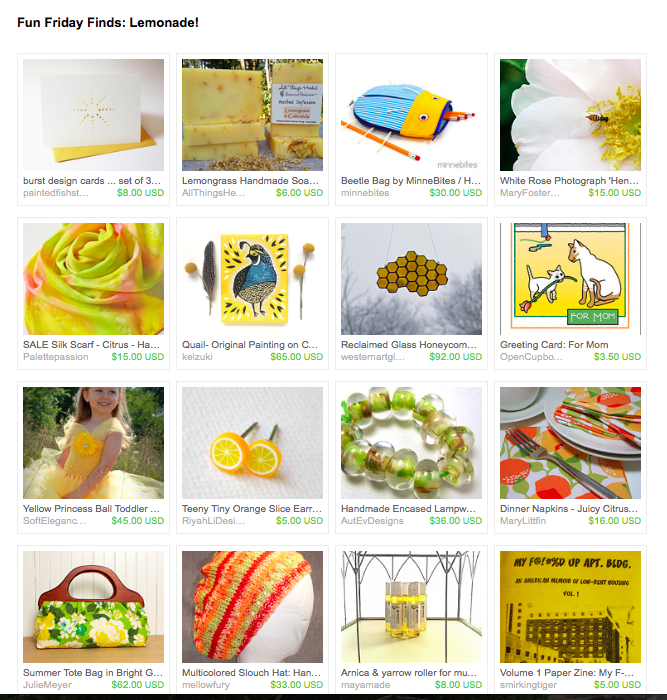 Fun Friday Finds: Let's Make Lemonade! Sure, they say that when life gives you lemons, make lemonade, but what about when life gives you a curious stew of too much rain followed by hints of sticky heat intermingled with enough perfect days to make you forget all the rest? Well, that's when we drink lemonade! 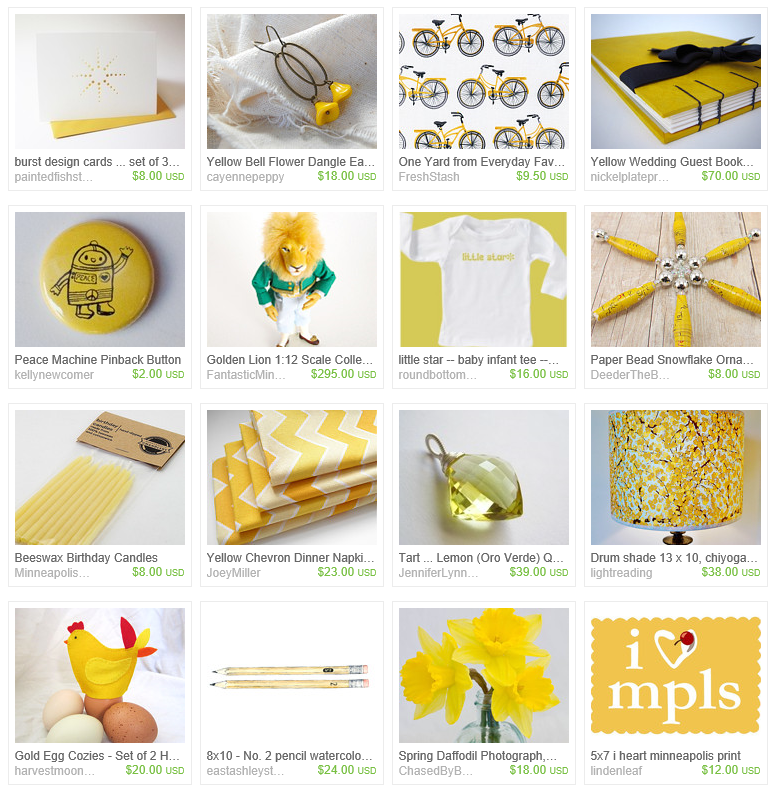 And while we sip our lemonade, let's peruse these excellent lemon-and-honey-toned handmade things from Minnesota artists and crafters on Etsy. Here you go: just click and browse! Summer is here!Along with that comes backyard barbeques, days spent at the beach, tackling the yardwork and taking long-awaited vacations. I have fond memories of my childhood summers in Minnesota - we would load up the car and head up to Lake George for a week. There was a resort at which we would always rent a cabin called Melahn's. My favorite parts of the trip every year: I'd get up early each morning to go fishing with my dad, my sisters and I foraging through the forest for wild blueberries to put in our morning pancake mix, heading into Bemidji to the plaster shop to buy shapes to paint on the rainy days, playing card games around the table with my circle-shaped playing cards... Isn't it funny how some of that stuff just sticks with you? I'm sure you have a special place that you just love to go, whether by land, air, or sea. So here are some items that will either bring back some memories or inspire you to plan your next adventure. 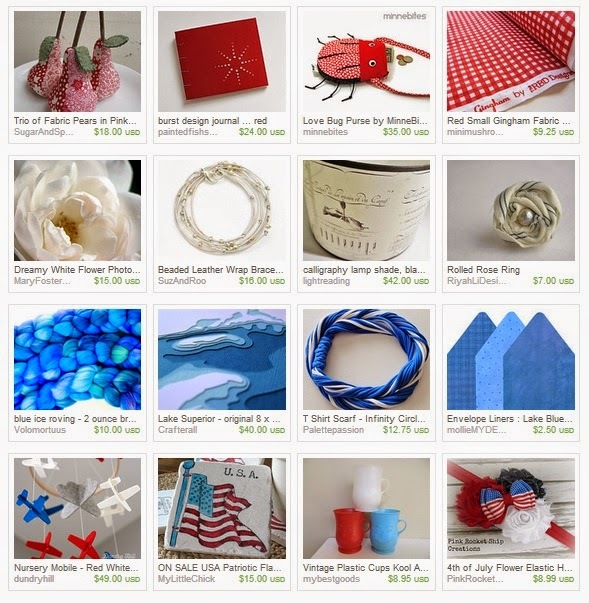 Or visit the shops to purchase any of them to make your upcoming vacation even more special. We'd love to hear about YOUR favorite vacations and the places you've explored. Drop us a comment - I know I, for one, am always looking for new places to visit! Flooding and high winds and mud slides, oh my! Aren't we having an interesting summer so far? Do you remember that only a few months ago, much of the state was still experiencing drought conditions? I think we can say with certainty that the drought is over now. Let's all join together in thinking light, sunny, dry thoughts! 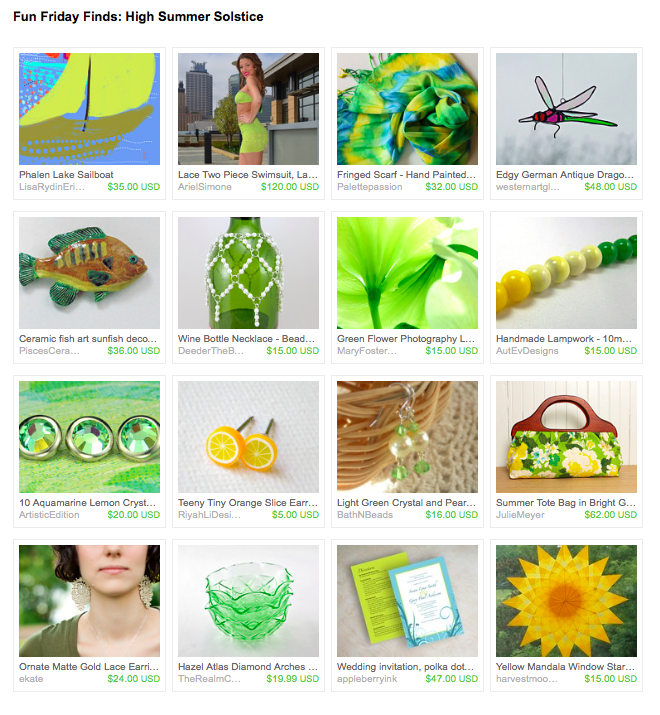 And here are some fine Minnesota handmade items sporting a touch of lemon and lime to remind us of the pleasures of a non-rainy summer day. According to the United States Census Newsroom, Sonora Dodd was listening to a sermon about Mother's Day and wanted a day to honor her father too. Her dad had raised her and her siblings by himself. The mayor of Spokane, Washington proclaimed the nation’s first "Father's Day" on June 17th, 1910. It wasn't until 1972, after Mother’s Day was made official, that the day became a nationwide holiday in the United States when Nixon proclaimed Father's Day as a federal Holiday. There are more than 70 million fathers in the United States and 2 million of those dads are single parents. Finally, 214,000 dads stay at home with their kids. Well folks, summer has arrived! I am absolutely loving the warm sunshine. Now get shopping. And then get outside and enjoy the sun! 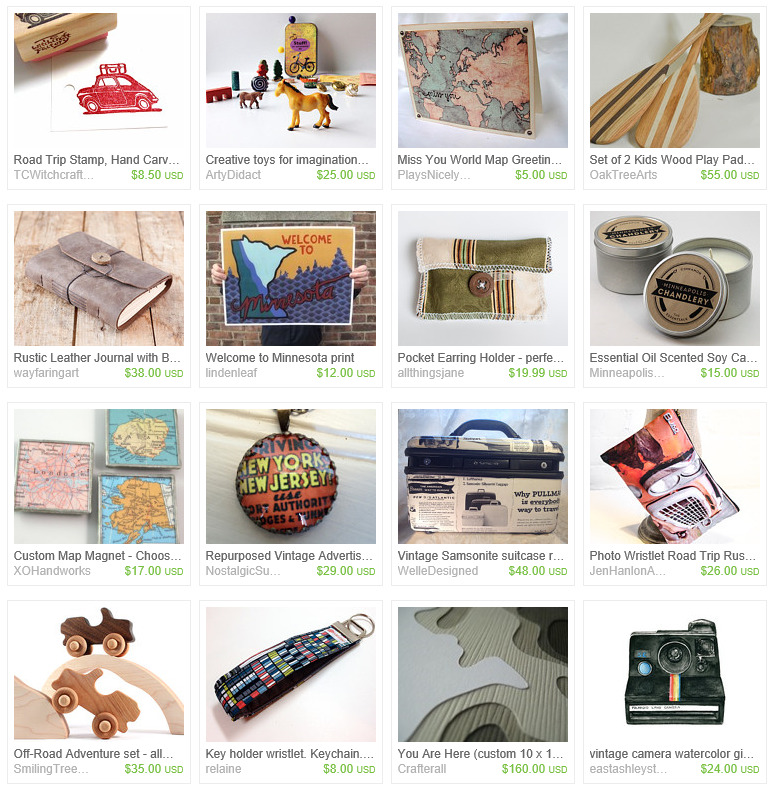 This week's collection of Minnesota handmade and vintage treasures on Etsy features the colors of a perfect summer day. 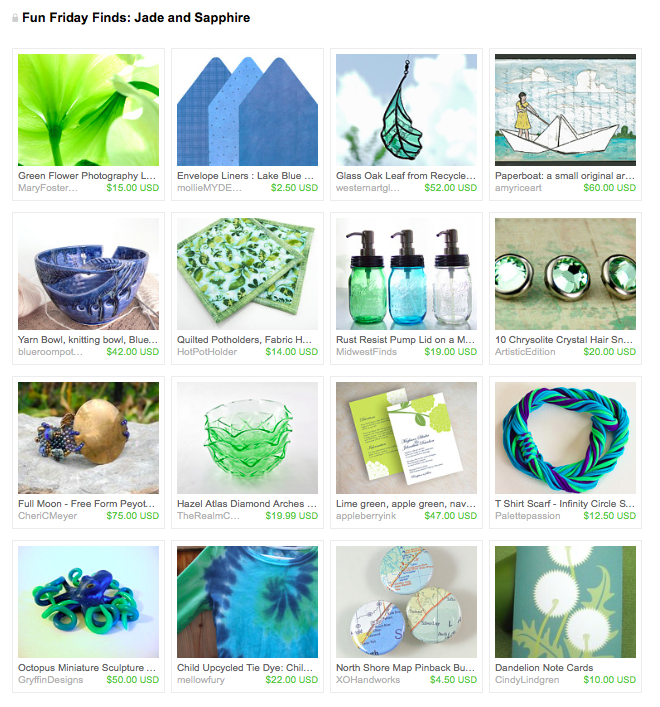 "Another perfect day, all jade and sapphire. No place can have more beautiful days that Minnesota when it behaves." Do you know someone who is graduating this year? 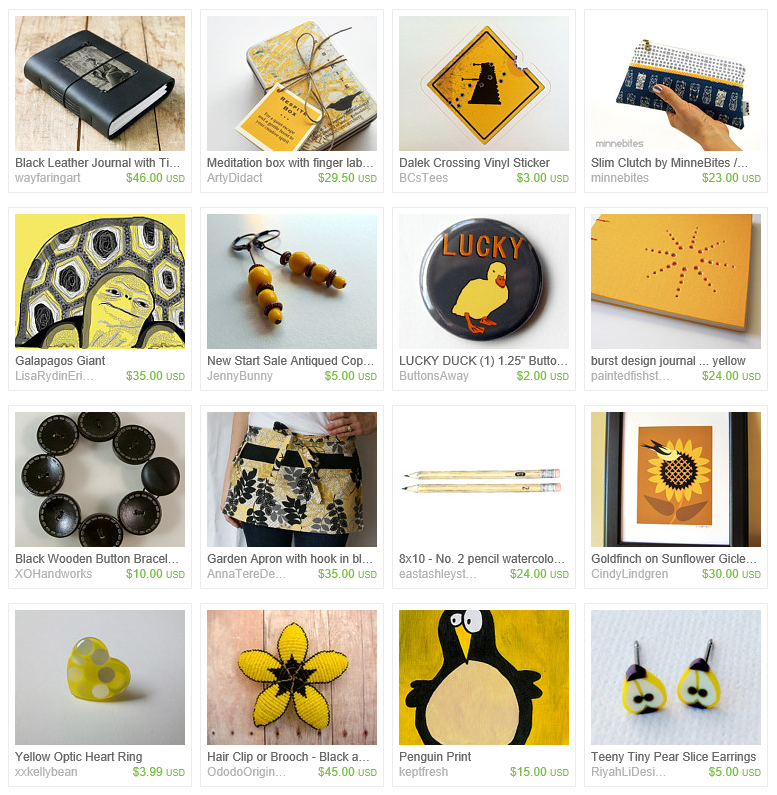 Are you looking for a clever, creative gift? Well, look no further! 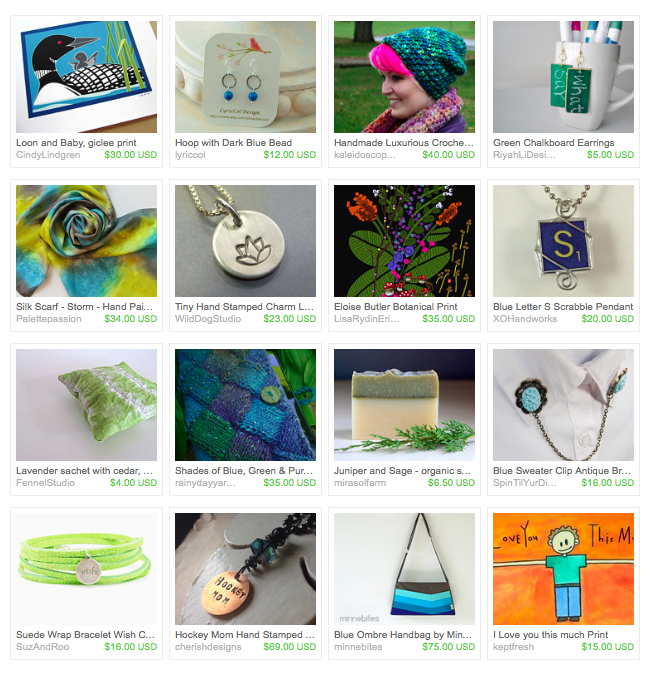 Our talented Minnesota Etsians have the gift that's sure to delight the high school or college grad in your life. 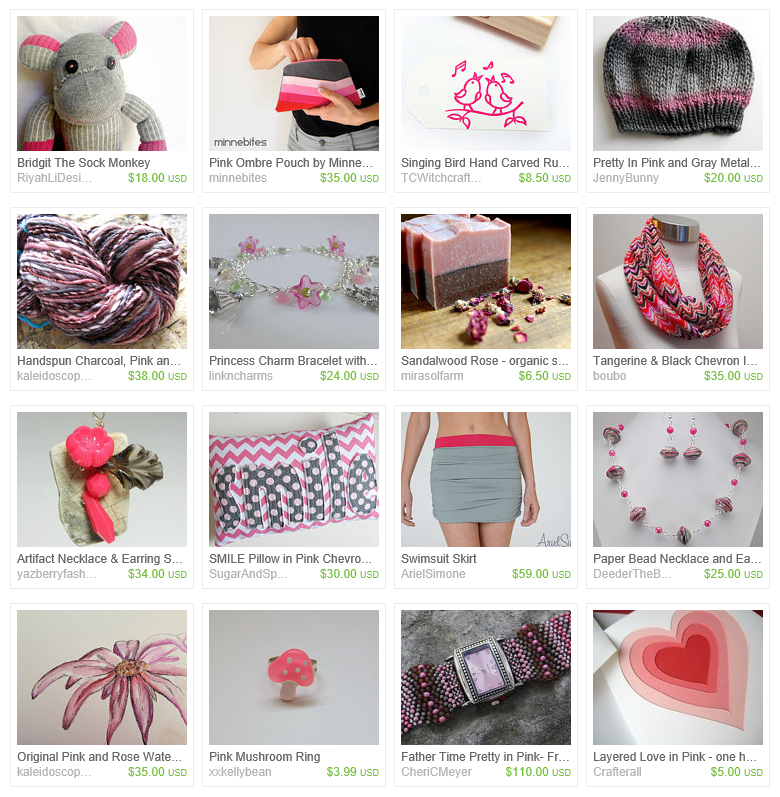 The phrase tickled pink has been around for over 100 years. (Tickling, in a figurative sense, has been around even longer. And actual tickling, well, I imagine that's been around since the dawn of time. I bet even the cavemen participated in that action. But I digress.) Basically tickled pink means to give pleasure or gratify, a concept that the enjoyment experienced is great enough to make the recipient glow with pleasure. 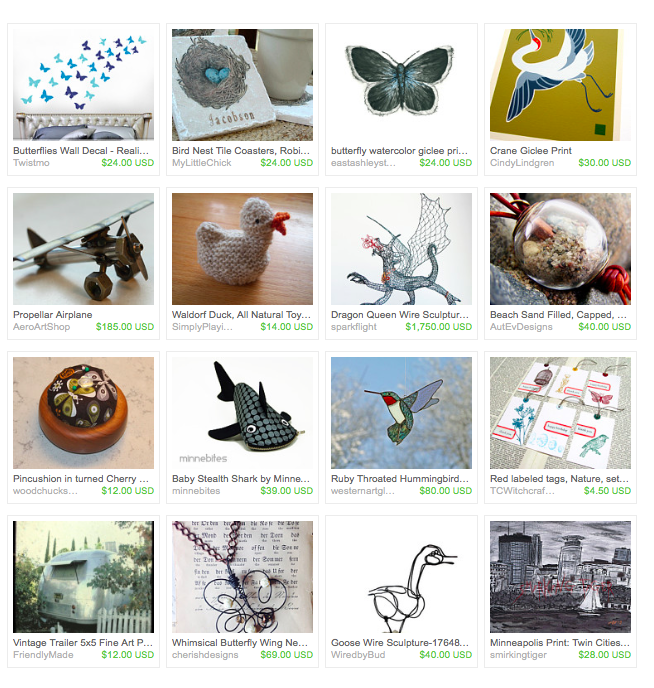 Here is today's treasury, which I hope brings you much enjoyment and tickles you. Who appreciates handmade gifts more than Mom? But you don't have to do it all yourself — you can find a Minnesota handmade gift close to home at one of the many shops that carry goods by members of the HandmadeMN team, or at Saturday's Craftstravaganza, which also features many HandmadeMN artisans. 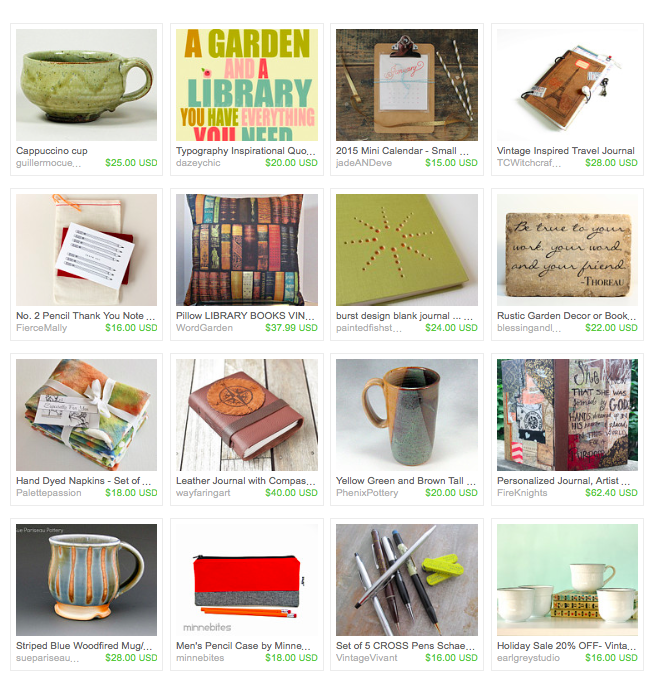 Find a list of local shops that feature HandmadeMN artists right here on this blog. And you can also find out about local art and craft shows where some of our team members will be. Both lists are continuously updated. Need ideas? Or prefer to shop local online? Check these out. 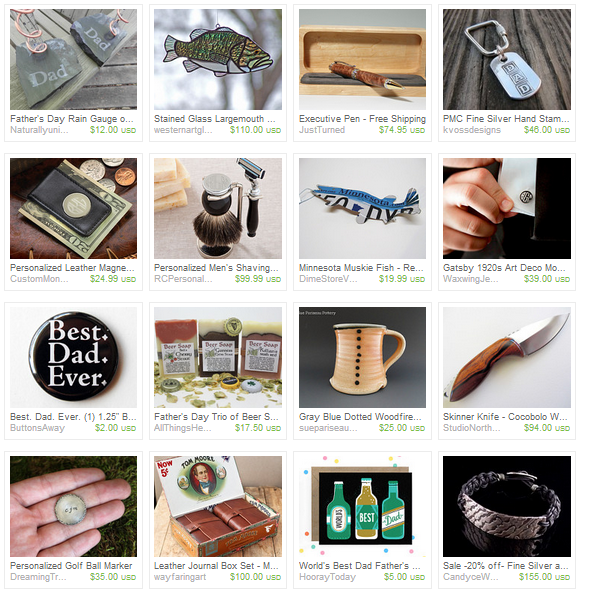 If you click on the image, you can hop on over to Etsy and visit these many fine online shops there (some of whom will also be at Craftstravaganza and local shops). Space Day was created by Lockheed Martin Corporation in 1997. The goal was to motivate the youth of America to study math and science. This day was originally established as a one day event. An exciting topic of interest to millions, Space Day became an annual event. Last Saturday was the first nice day that my husband and I and the kids could get out and explore the yard of our new home. We moved in January, and had no idea what the yard would look like or what landscaping there was, if any. We truly enjoyed exploring everything - the wooded area, the creek, the grass where the kids can play ball. It was nice to see there are many perennials - hostas, hydrangea and sedum sprouts were just appearing out from under the mulch. Yay! Spring is here! Low and behold, we arrived upon one little bloom. Such a simple, pretty bloom. And the colors were perfect for such a nice spring day. I hope that more start appearing - perhaps I'll discover a few more today with the warmth we'll have. 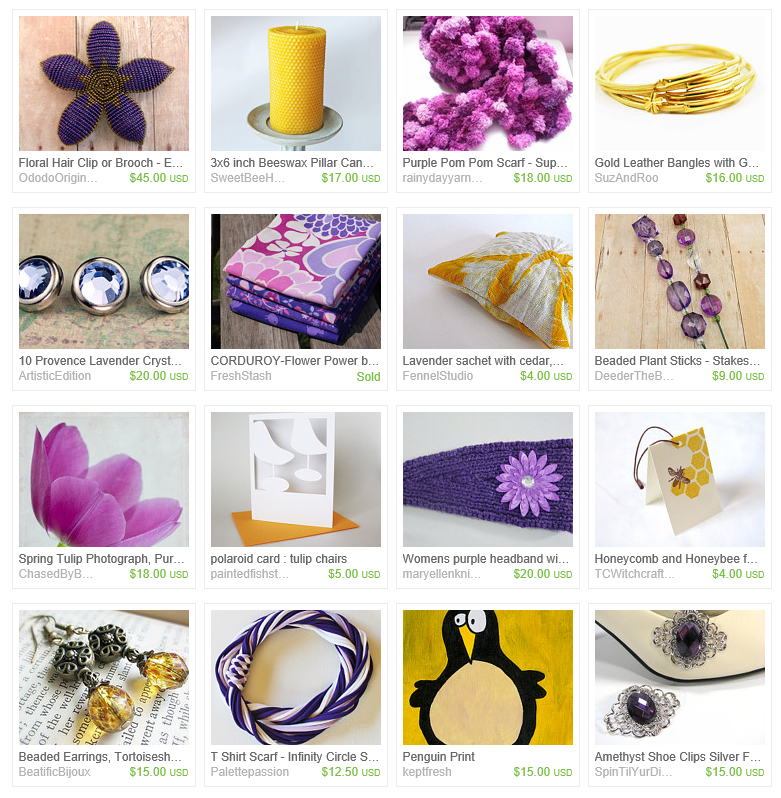 In homage to this beautiful bloom, I put together today's Fun Friday Finds; I hope you enjoy the splash of color and wonderful gift ideas it brings to your spring. What are the first blooms you've discovered in your gardens so far? 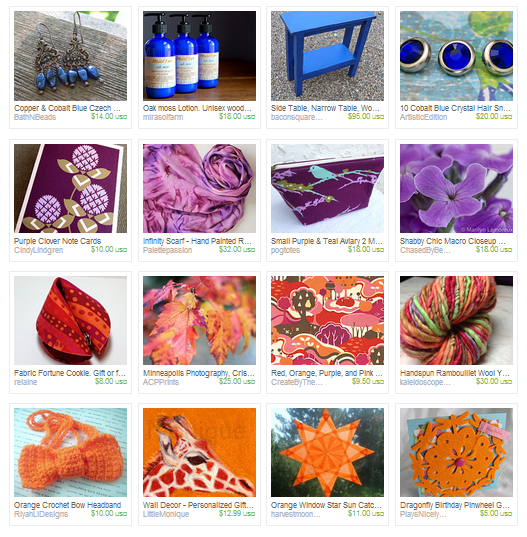 Fun Friday Finds: April Showers? 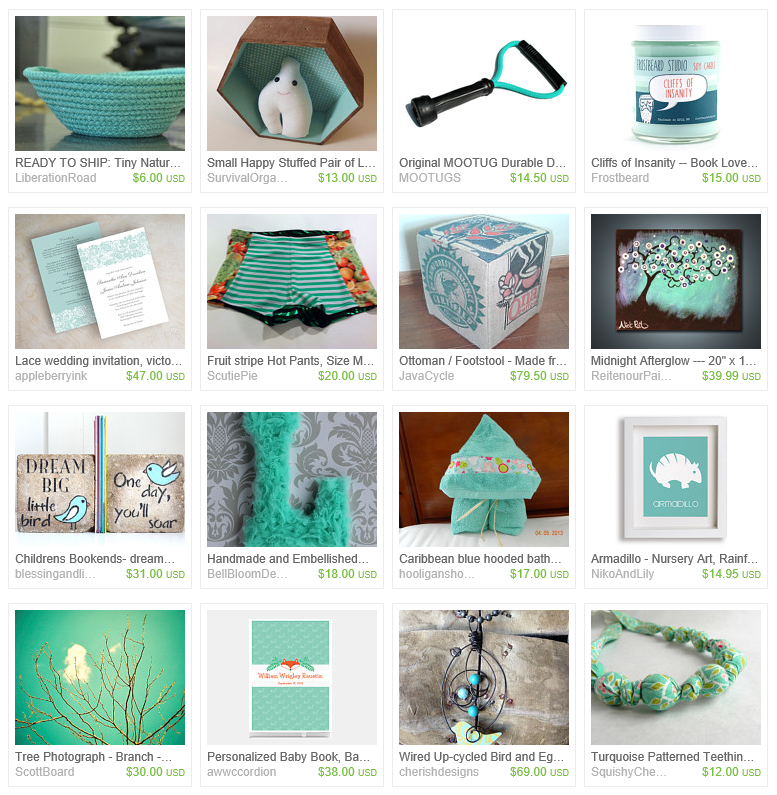 How about baby showers! In the midst of the season of all things new and fresh and full of possibilities — how can that not make us think of babies? 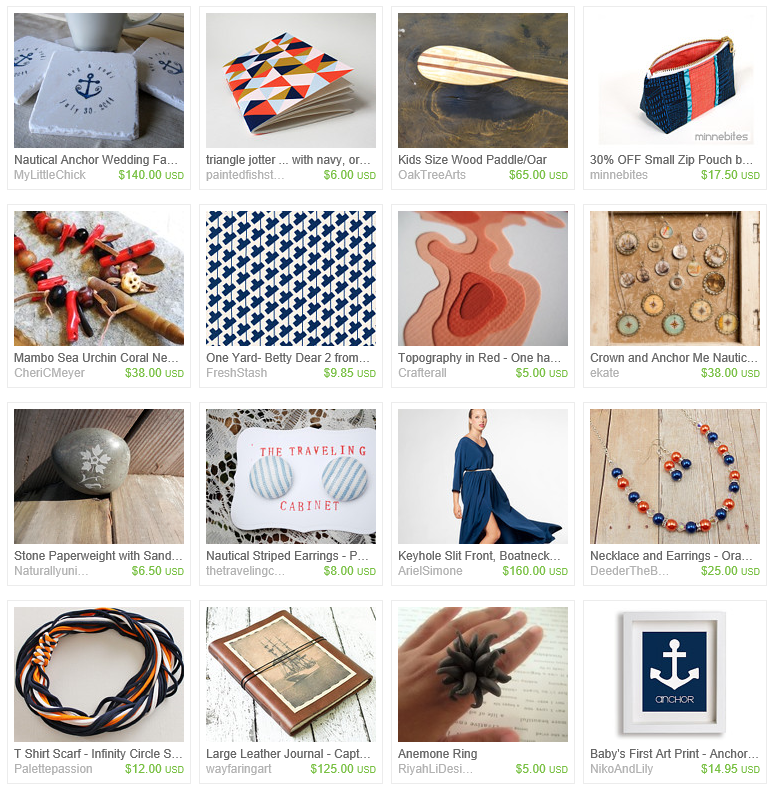 Of course, there are always babies to celebrate all year round, and what better gifts for babies than something local and handmade? 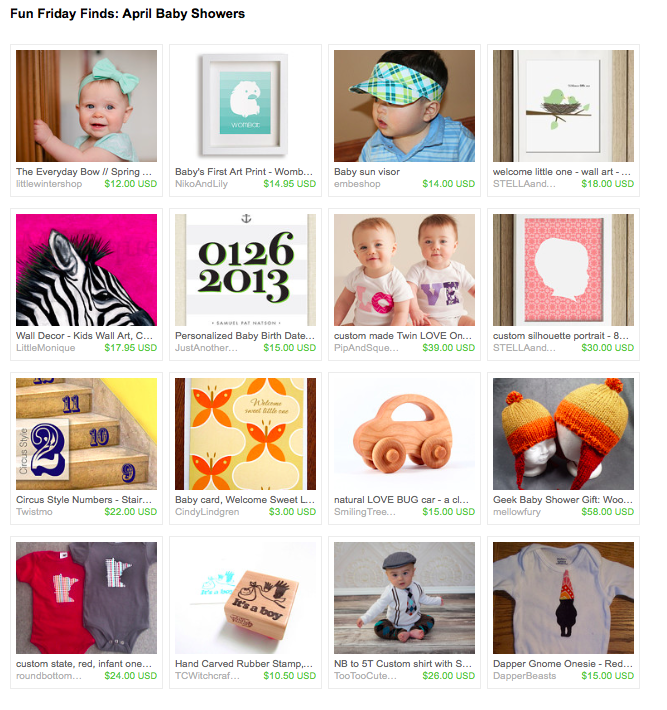 If you have any baby showers coming up, here's a tip for knowing what handmade things to buy even for those parents who have registered at this or that big-box retailer (this tip works for bridal showers too): First, look over their various gift registries online and make a note of the colors, motifs, and style that they are favoring, then shop for something unique and handmade that will go with the items they've registered for. Then when they open the gift from you, they'll think, "Hey, this is not only fabulous and handmade, but it even goes with my other stuff! How great is that?" 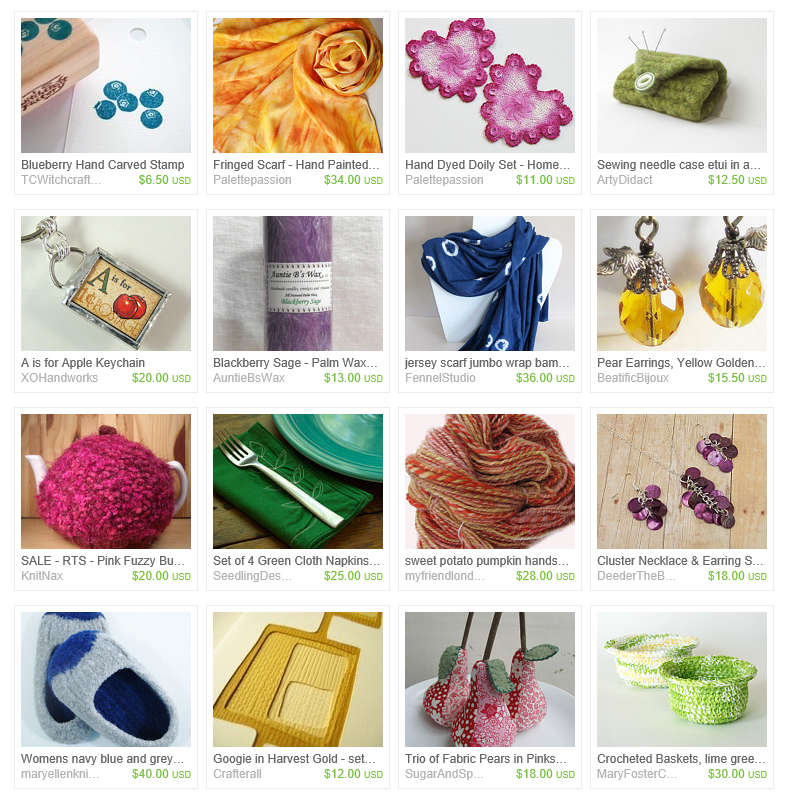 And you can still shop online when buying handmade. So convenient! 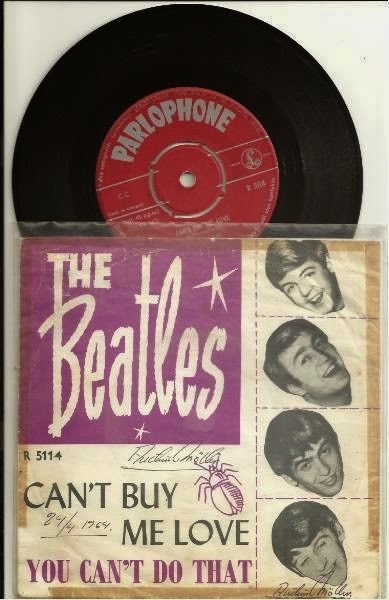 50 years ago today (April 4, 1964) the Beatles single "Can't Buy Me Love" hit #1. It stayed there for five weeks. It was recorded in Paris (known by many as the City of Love) in January of that year. "I'll give you all I've got to give, If you say you love me too. I may not have a lot to give, But what I've got I'll give to you. I don't care too much for money, money can't buy me love." Okay, good point. Maybe money can't buy love, but it can buy things that you love to give to those you love. To commemorate the Beatles' 6th #1 single, I give you today's Fun Friday Finds. 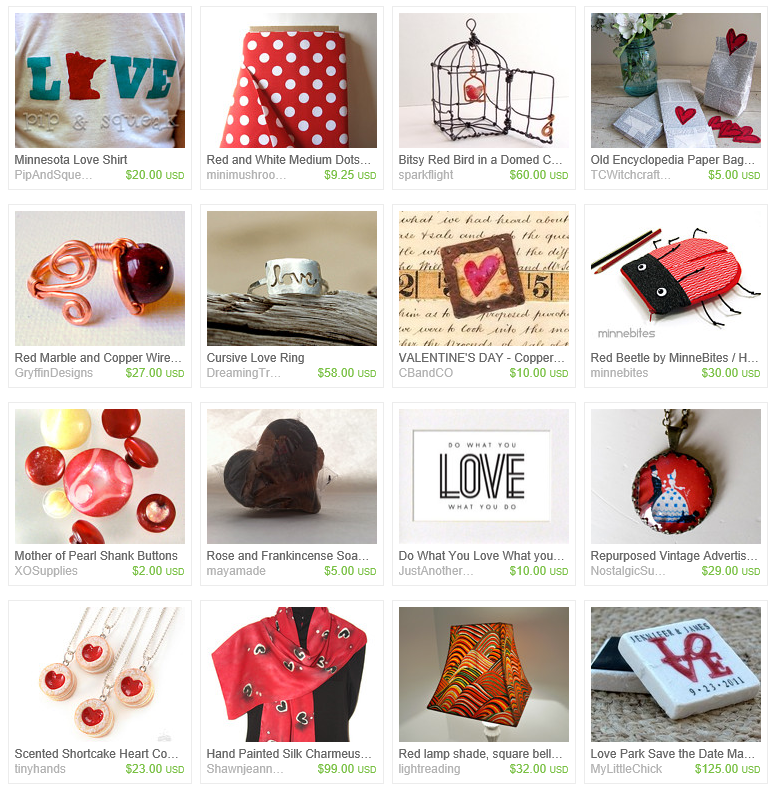 I hope you find love in this treasury, or at least in one of the featured shops. When my husband recently mentioned that a friend who winters in Arizona was coming home soon, I got to thinking about how spring is homecoming season here in the north. For not only will we see the return of birds and butterflies in the coming weeks, but also many of our friends and relatives who packed their bags and said, "We're outta here!" shortly after Christmas. Of course, those winged creatures migrated south for their very survival—and our two-legged snowbirds will no doubt insist they left for the same reason. While we who stayed behind and toughed it out will always enjoy our bragging rights, especially after surviving a prolonged visit from the polar vortex this winter (and aren't we especially glad that has finally gone home? ), we really must admit that we missed them all and are looking forward to their return. Even my in-laws who are still languishing in Florida. Wimps. 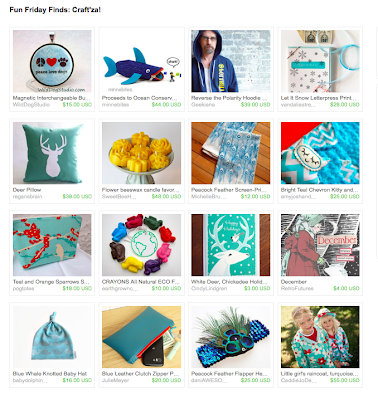 Just click on the image, or here, to get a closer look at all the lovely items from these fine winter-hardy Minnesota crafters. 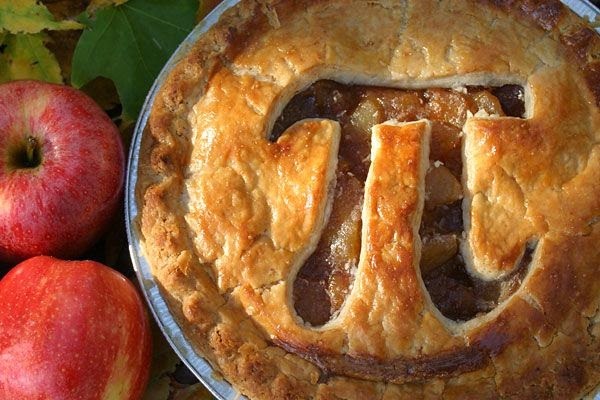 Pi is the ratio of the circumference of a circle to its diameter, 3.14159265358979323846264... so being that today is 3/14, it is celebrated all around the world. Folks often celebrate by incorporating pies into the day. This is my favorite way to celebrate. Strawberry, blueberry, pumpkin, key lime, banana crème, apple, boysenberry, raspberry...soooo many options. What's not to love? What is your favorite way to commemorate this day of 3/14? Perhaps you hold a competition to see who can recite pi to the highest decimal place at 1:59 today? 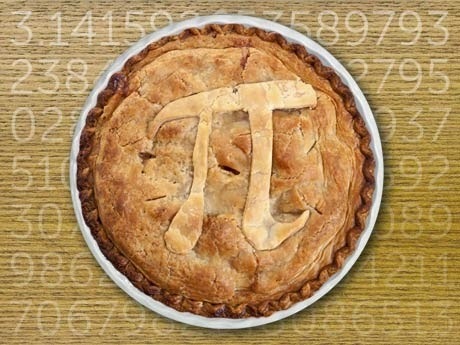 Maybe you take a moment or two to write a "pi-ku" (a haiku about pi)? Or sing songs about pie? Or do fun math puzzles? Walk 3.14 miles? Oooorrrr, how about this? 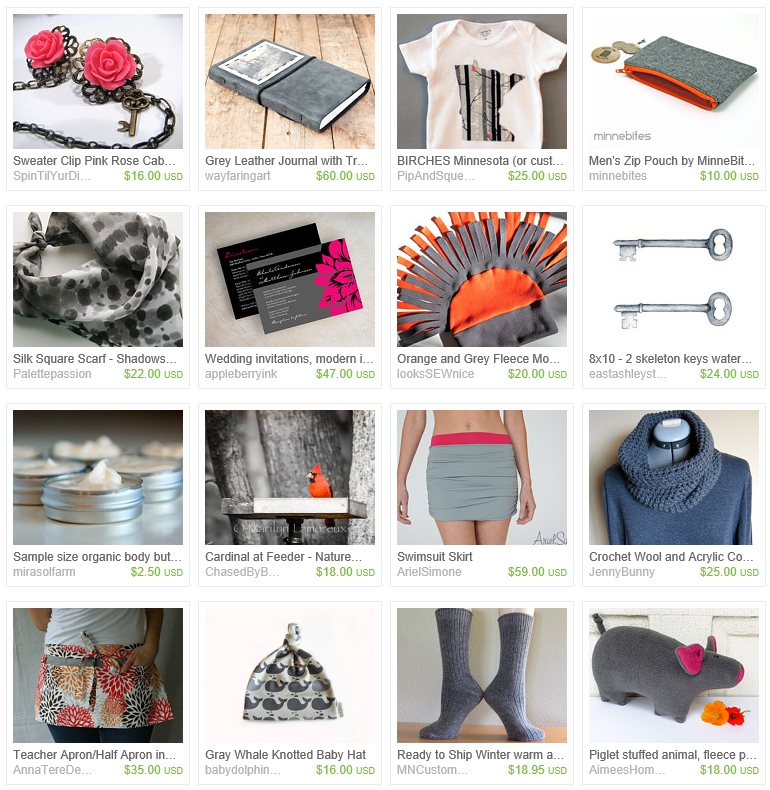 Spend some time shopping your favorite HandmadeMN stores for great gifts to share with friends on this happy day! 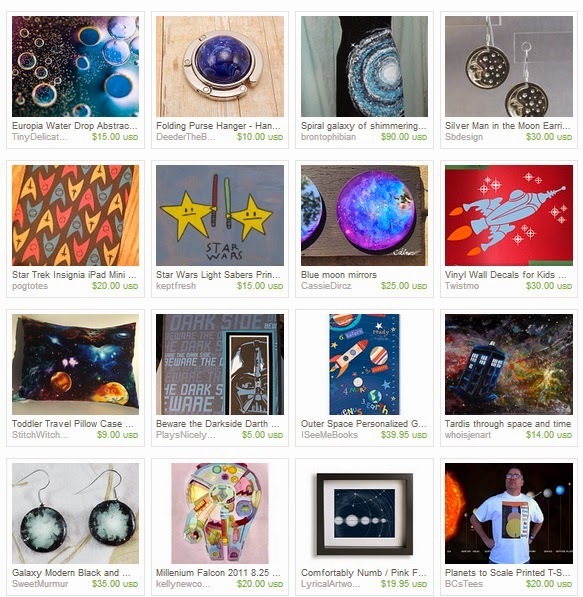 ;) Here are some "pi"deas to get your shop on. Enjoy your day, however you may choose to celebrate!